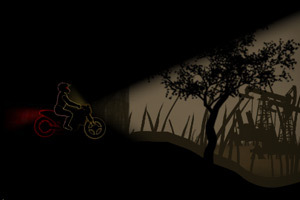 Description Have a look at this new dirt bike challenge and try it out in 20 intense levels. Use arrow keys to steer and balance the bike. to balance the bike to land on the wheels. Enjoy and have fun with this night challenge and prove you are the best player in the game. Controls Use arrow keys to steer and drive bike. Press CTRL to adjust the Beam of the bike.